I was on my 7th week sabbatical this past week. What the heck is that? A fine question. I take every 7th week off to rest and recharge. A practice I started in October, 2015 inspired by seanwes. But I wanted to pop in and say hello! I’m actually not feeling 100% this week, so this time off came at a perfect timing. My week’s itinerary included: sleeping more, organizing my inventory for the upcoming holiday fair season, and just kind of hanging out on the couch a lot. 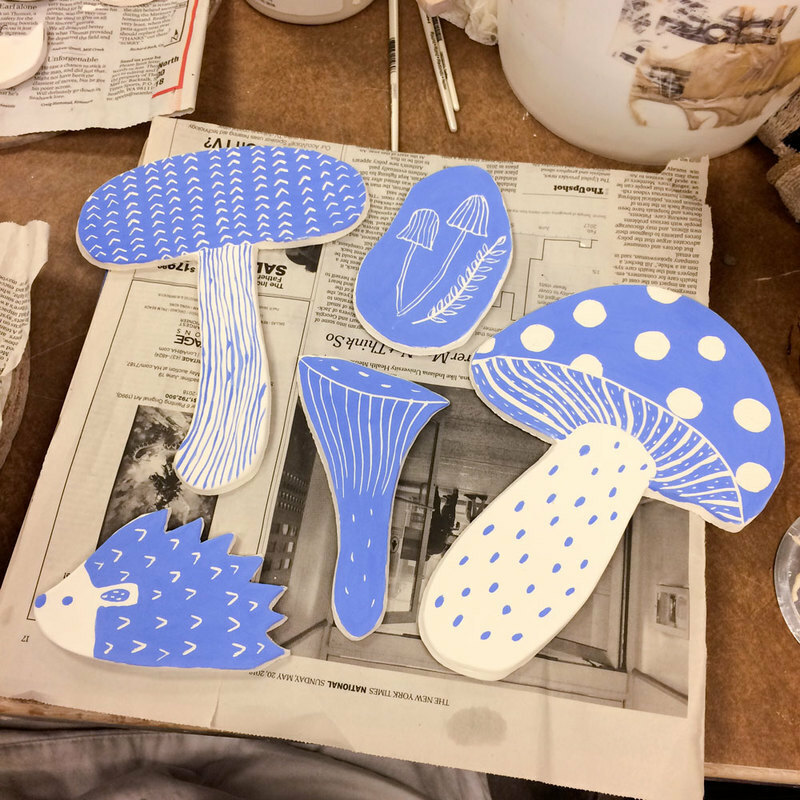 I also thought it’d be fun to show you what I’ve been working on in my pottery class at South Seattle College this quarter. 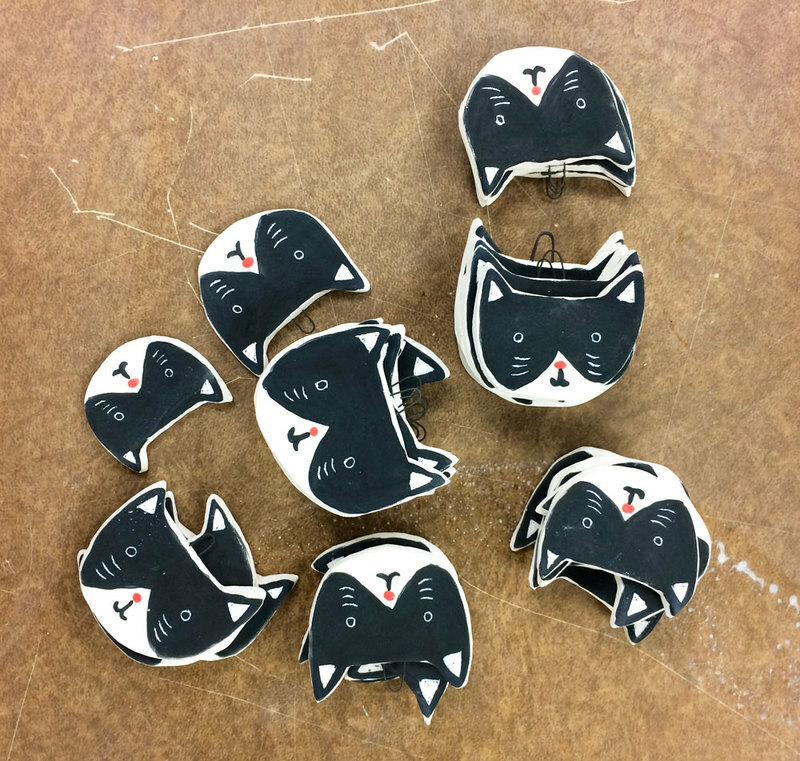 Tuxedo cat ornaments are coming back! Once they’re glazed, these cuties will be going to King Street Maker’s Market 11/29-12/2. If I have leftovers, I’ll post them in the shop later! I’ve also been working on some personal projects. I plant to mount these mushrooms and the hedgie on a wall in our kitchen to create a fun woodland scene 🦔🍄 I wanna make different seasonal themes so we can switch them around throughout the year! 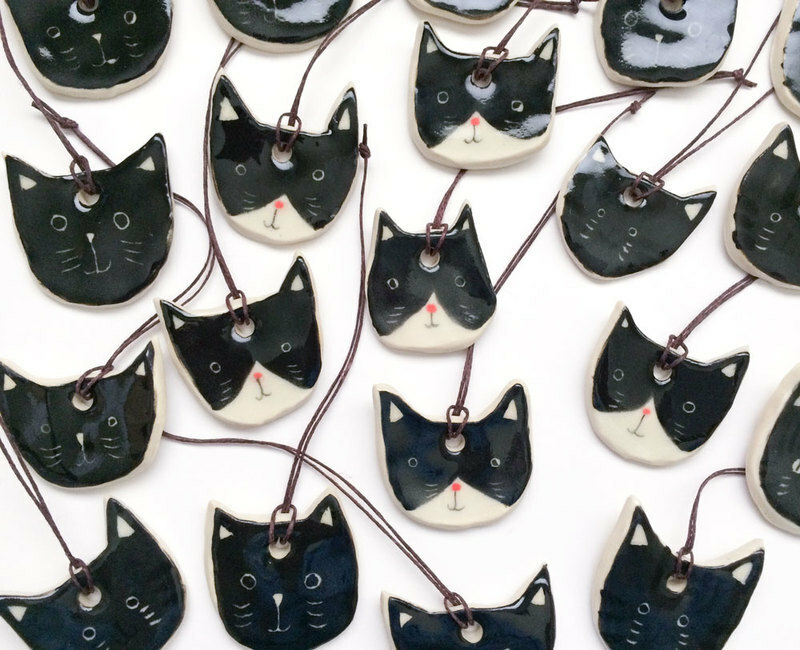 A few months ago, I made ceramic pet ornaments for my friends who’d recently lost their pets. I loved them so much that I decided to make a handful to share with you! 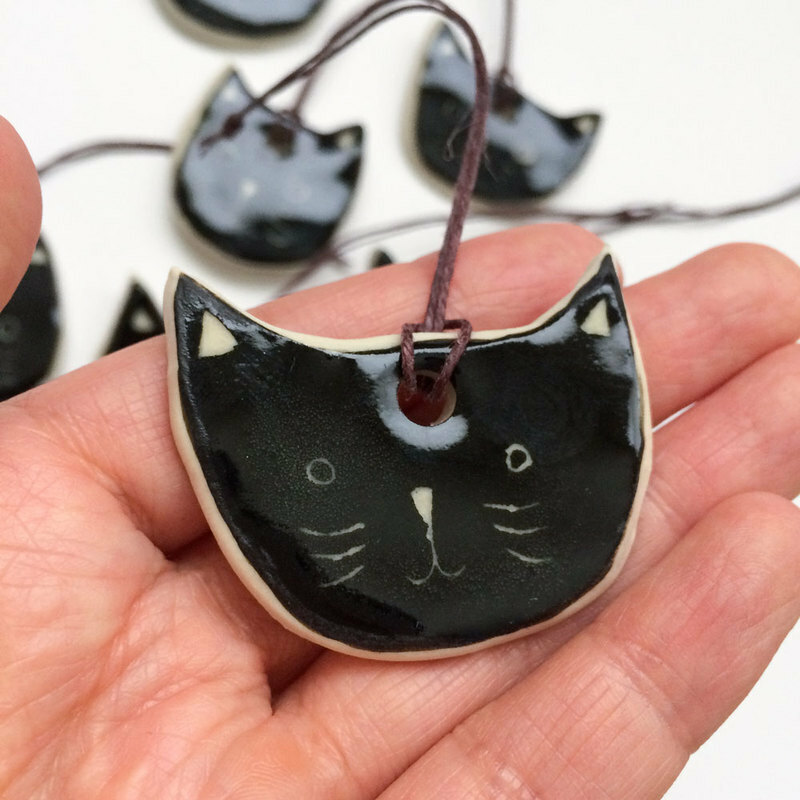 If you’ve been following me on Instagram, you may have seen the makings of these ceramic cat ornaments. 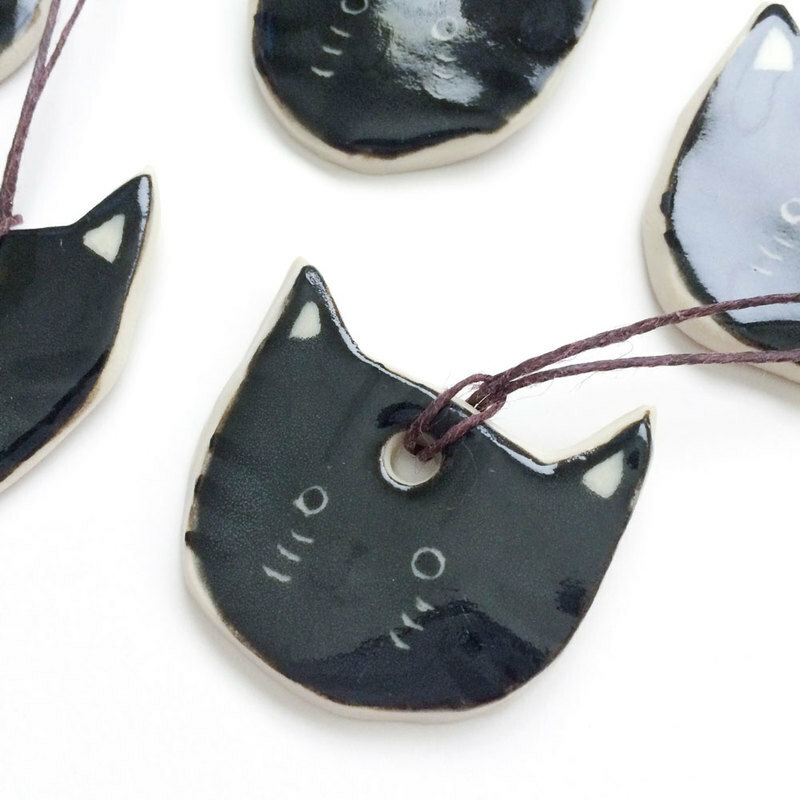 It’s taken me longer than expected to finish these… Making ceramic anything is a long process! But good news, the wait is finally over. You can select the color upon checkout. They’re hand crafted and painted/glazed individually by me. 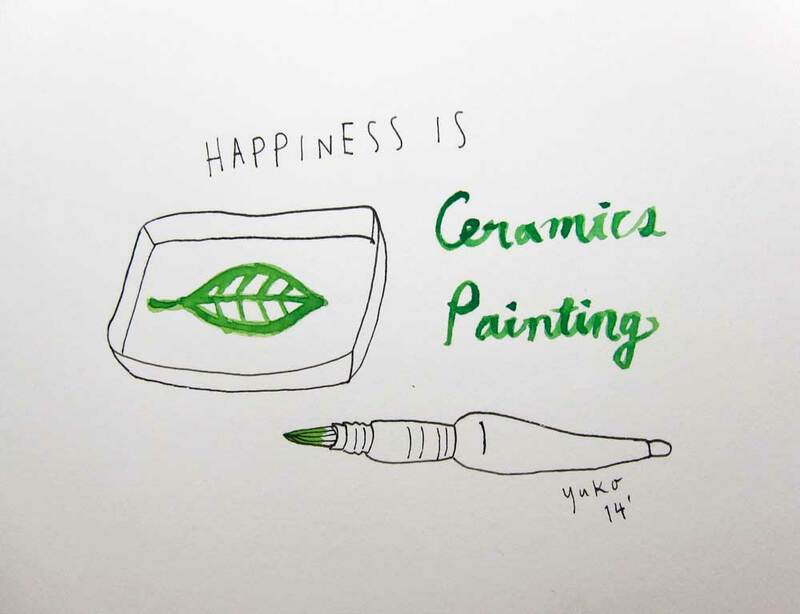 Each one is slightly different and makes it a one-of-a-kind artwork. They’re about 1.5″ round (35 mm) and attached to a waxed cord for easy hanging. The cord is about 4″ long (95mm). You can hang them on your wall, from the rearview mirror in your car, your houseplants, or on your Christmas tree during the holiday season. You can also switch the cord to a longer string/chain and wear it as a necklace! It’s lightweight but pretty sturdy. I only made a handful of each and am not sure if I’ll make more in the future. If you want them, go get them NOW! p.s. 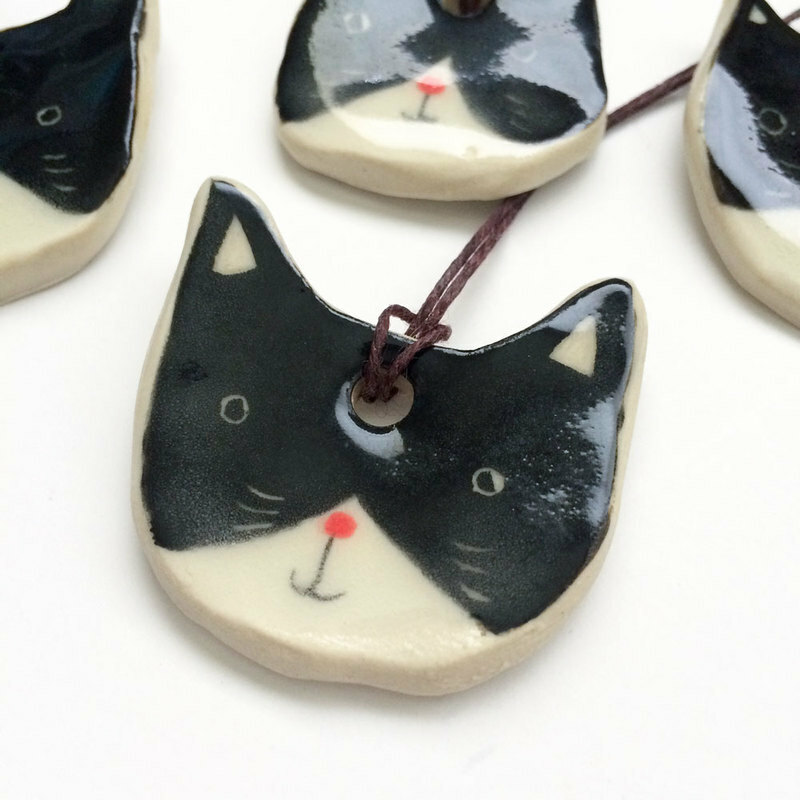 If you missed the link above, you can shop these adorable kitty ornaments here. p.p.s. Are you a Seattle local? I won’t be selling these at fairs and markets, but I’d be happy to bring them to you if you want to pick up in person! Just write a note indicating which event you’d like to pick up your purchase at, and I’ll refund your shipping. You can check out my event calendar here.